This entry was posted in In the News on October 24, 2018 by Kadija Bangura. (Washington DC) Anacostia Arts Center is using its 2018 season to nurture the creation of new, innovative, and experimental work, to promote six outstanding theatre organizations and individuals. The Resident Theatre Incubation Project was created to increase the number of theatre companies and individuals producing high quality theatre at the Anacostia Arts Center. With over 30 applicants the Anacostia Arts Center panel narrowed it down to six companies who will fill each category of the incubation. Full Season Residency– This agreement allows theater companies to run their full season (up to three productions) in the Black Box Theatre with no rental cost. The company will receive $2000 per production to off-set production costs and 4 weeks in the performance space. Full Production Presentation– This agreement allows theatre companies to run one production over a four-week period in the Black Box Theatre. The company will receive $2000 for this production. Limited Engagement Presentation– Companies and individuals may present a limited engagement production in the Black Box Theatre. This engagement may be 1-3 days in length. The company will receive $500 – $1000 for this production. Workshop Presentation– Companies and individuals may host a workshop presentation of new work in the Black Box Theatre. The company or individual will receive $500 to develop the piece and agrees to use the Anacostia Arts Center to fully house the world premiere of any fully produced performance of the new work. Convergence Theatre is a home for socially conscious artists who wish to spark dialogue between diverse communities through new theatrical structures. Convergence Theatre’s mission to give voice to the voiceless is essential to identifying the barriers to communication and rhetoric that favor the dominant culture. By engaging in an interdisciplinary approach to dramatic creation, Convergence Theatre produces multi-sensory performances that invite a wide audience base, encouraging discourse and dialogue over issues of social conscience. The two proposed full productions, A New Nation and This is All Just Temporary, ask audiences to reflect on their own inclusivity of individuals who do not fit mainstream criteria, and how language and culture are central to discovering and embracing our intersections. Theatre Prometheus is a not-for-profit company of directors, designers, actors, writers, and other theatre artists based in Washington, D.C. Producing both classic and contemporary works, the company shares a goal of exploring and promoting women-focused, diverse narratives. Theatre Prometheus believes in the power of local theater and are committed to providing opportunities to local artists, creating productions both by and for the community. Theatre Prometheus will produce Soldier Poet, a 90-minute play written by Darcy Parker Bruce, with Arabic translations by Esam Pasha. Synopsis: “In the falling city of Aleppo, two American Army Rangers rescue an injured Syrian woman about to give birth. At a nearby hospital, a neonatal nurse with an unwavering sense of duty struggles to save the lives of infants as her hospital is bombed.” The subject matter of the play speaks to a previously underserved demographic while also striking a deep chord as it relates to current events and concerns. FRESHH has decided to celebrate novelist Octavia Butler through a play festival, The Next of Kin Black Women’s One Act Festival. This festival pays homage to Kindred by Octavia Butler and examines the lives and stories of Black women in 2218. The company will work with 3 playwrights to interpret Kindred by using one of the characters, one of the settings and/or the theme and create a one woman, one act 10-minute play. FRESHH is intentional on working with artists aged 19 – 90. Their commitment to this goal means they are hoping to work with playwrights, directors and actors across the spectrum of age and experience; particularly to increase the inclusion of elders and emerging artists on stage and in directing and playwriting. By combining the archetypes of the Tarot and radical vulnerability, The Tarot Reading empowers audience and artist to create and experience encounters that enable them to fulfill their need for true connection, explore their own humanity, and marvel at the powers of variety, synchronicity, and randomness. The Tarot Reading is anchored in the archetypes of the Tarot. The show is intimate, interactive and interdisciplinary. At the door, 21 audience members are dealt a tarot card from the deck at random. For each card, a thematic microplay of 3-5 minutes is devised by one of seven performers to be performed for and with the cardholder in a sacred space while everyone else watches from afar. The Tarot Reading is ongoing and iterative, meaning each production features seven different performers and twenty-one original micro-plays. The Anacostia Musical Theatre Lab highlights the vital stories and experiences of the Anacostia neighborhood, through musical theatre pieces created by nearby residents, in collaboration with local writers, composers and musicians. The Lab aims to reflect the voices of the community and provide opportunities for underserved populations to use music as a means of storytelling, healing and hope. The Anacostia Musical Theatre Lab matches residents with local writers and musicians to develop and workshop two one-act musicals/or song cycles per season. The shows will feature co-writers and performers, from the Anacostia area. Pocket Change creates pockets of creative change on a shoestring budget! Their production titled Chesapeakaboo is a devised children’s theatre piece. A fish and a fisherman need the audience’s help to save the Chesapeake Bay! Pumpkinseed and Peter become unlikely friends who learn simple ways to help the Bay, taught with interactive songs and dance. Kids and parents will leave this show with a better understanding of their impact on local water systems and the environment. The show presents easy, everyday actions that can improve the health of the Bay. This portable show will feature handmade puppets, simple props, and original songs and is appropriate for ages 5-7 years. 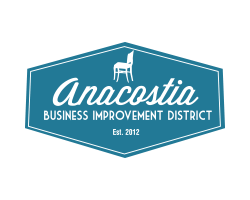 Anacostia Arts Center is a project of the ARCH Development Corporation, a not-for-profit organization dedicated to creating a home for small businesses, artists, arts and cultural organizations to fulfill its commitment to the revitalization and sustainable economic development of Historic Anacostia. The 9,300-square ft. arts center opened in June of 2013 and includes a café, the Black Box theatre, two boutiques, a physical therapy studio, an artist exchange and two art galleries. This entry was posted in Press Releases on June 27, 2018 by Kadija Bangura. April 2018 Wait, What did I miss? This entry was posted in Newsletters on June 27, 2018 by Kadija Bangura. 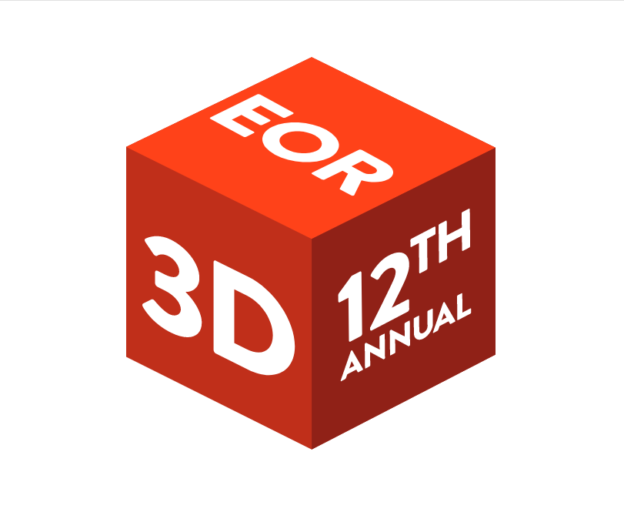 [Washington, DC] An elite consortium of creative talent, has been selected for a presentation of 3Dimensional work. The 12th Annual East of the River Exhibition exemplifies the creative talents of artists and makers of Ward 7 and 8 in Southeast DC. 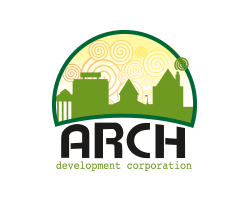 As a leading force in the arena of artistic culture East of the River, ARCH continues to present art, theatre, music and entrepreneurism for the community. The Honfluer Gallery has firmly positioned itself as a home for fine art and national artists, while Vivid Gallery continues to push the envelope with cutting edge exhibitions from up and coming artists. The Annual East of the River Exhibition has grown in success and notoriety since its inception in 2007. Curator Terence Nicholson challenged Ward 7 and 8 artists to push themselves further with an expression of 3Dimensional work. Inspired by the rare medium of sculpture embraced by Ibé Crawley, Nicholson felt it was time to bring 3D art to the forefront in a group show, that would provide a platform for Southeast artists. The show highlights the work of eleven artists. Honfleur Gallery will exhibit the work of Craig Kraft, Diane English, Jay Coleman, Lisa Swanson, Luis Peralta De Valle, Lyric Prince, and Malik Lloyd. Vivid Gallery will exhibit the work of Amber Mimz, Jeri Hubbard and Ibé Crawley. The 12th Annual East of the River Exhibition will run from June 22 through July 28, 2018 in both ARCH galleries. Honfleur Gallery is located at 1241 Good Hope Road SE and Vivid Gallery is located at 2208 Martin Luther King Jr. Ave SE. Gallery hours are Wednesday through Saturday 12-7PM and by appointment. The opening receptions will take place on June 22 from 6-9PM. A full schedule of artist talks will take place on July 14 from 12-6PM. For almost two decades, light sculptor Craig A. Kraft has gained national recognition for his innovative neon light works. Early public artworks include the Falling Man © 1995 sited permanently at the Cell Theatre in New York City. His sculptures have been featured in over 135 exhibits throughout the US (14 solo). 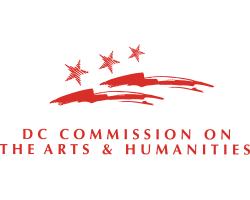 Recently, Kraft was commissioned to create a large scale 11′ x 21′ x 4′ scrambled neon “DC!” for the DC Commission on the Arts and Humanities. A member of the faculty of the Smithsonian Institution Studio Arts Programfor 23 years, Kraft received his Bachelor and Master’s degree from the University of Wisconsin, Madison. Kraft is represented by the Seraphin Gallery in Philadelphia. He resides in Washington, DC in the arts corridor of Historic Anacostia. English is a native Washingtonian and as a lover of art, she is inspired by nature and appreciates beauty in any form, be it audio or visual. English considers herself to be a visual artist creating in acrylic, oil, watercolor, alcohol, ink, wire and pastel. She aspires to create thought-provoking pieces that are both pleasant and inspiring. English recently exhibited her work at the Anacostia Arts Center. Coleman has been a passionate arts advocate, educator and professional practitioner for nearly 20 years. He has been commissioned by presidents of two African countries, several universities and, the National Museum of African Art for his portraiture and mural work. 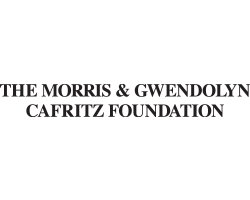 He was commissioned to create a large bronze sculpture for Barry Farm Recreation Center’s main courtyard and is currently sculpting 15 bronze medallions for the Howard Theatre Walk of Fame. Coleman served as the 2013 official tattoo artist for the Smithsonian Folk Life Festival and he hosts lectures and workshops on the importance of tattoo safety at local museums and schools. He holds a Bachelor of Arts in Fine Art from the Corcoran Gallery School of Art and Design as well as a Masters of Arts Ed., HD from George Washington University. Swanson has been a Washington potter since the mid-80s. She finds joy in making things useful, touchable, and beautiful. Besides the functional bowls, mugs and plates, she recently explored ceramic forms as canvases for words or poetry. Her collection includes pieces that are glazed in earthy tones, or fired but unglazed stoneware. Swanson has hosted intimate home exhibitions and, collaborated over the years with potters from Eastern Market Pottery, District Clay Center and, most recently Green Line Potters. Lloyd’s artwork explores the African-American historical and religious experience. His overarching intent is to create work that examines the relationship between historical truths, unearthed by contemporary scholars of African descent and its detrimental and accepted falsehoods. Lloyd aims to promote awareness to these historical inaccuracies. Del Valle, migrated to the U.S. in 1985 from Nicaragua. As a teen, he started painting graffiti murals in the DC metropolitan area. The multi award-winning artist was selected as the winner of the 2013 East of the River Distinguished Artist Award. In 2015, he was commissioned to produce a piece for the Beijing/District of Columbia Sister Cities Project, which resulted in a panda statue painted by Del Valle, being gifted to the Mayor of Beijing as a State gift from Mayor Muriel Bowser. Del Valle has exhibited his art at various museums and institutions including The Embassy of Italy, The Frederick Douglass National Historic Site, The Historical Society of Washington, DC, and The Vatican Embassy. His painting Blessed Oscar Romero is currently on display in Rome, Italy. Born and raised in Richmond, VA, Lyric Prince received her Bachelor of Arts in Fine Arts from Saint Joseph’s University in Pennsylvania and has recently completed a Master’s of Science from Drexel University in Philadelphia in Science, Technology, and Society. Her current research background and interests include pattern design, handmade books, mass-media representation of the mind or body and the social justice applications of art. Her practice is project-specific, it includes digital installations, paper sculpture, and large-scale drawings/paintings completed in live settings. With a foundation in music, Mimz is a multi-artist. A graduate from the New School University’s Jazz and Contemporary Music program, she has design roots as the offspring of Goldsmith and Jewelry store owner: Jamel Mims. Mostly known for her music production she is producer, singer, songwriter and designer. Her signature pieces from her line 2322, include cork necklaces, dice rings, leather bangle bracelets and beads. Growing up in the city of Washington, DC from artist parents she has an appreciation for many cultures, lifestyles, and music and art. Her life experiences in DC, New York and Los Angeles have influenced her latest body of work. Hubbard is a Washington-based sculptor, born in 1940 in Memphis, Tenn. She trained at Traphagen School of Fashion Design in New York City, and the Paris Institute of Art in Paris, France. As a textile assemblage artist, Hubbard uses her fashion design training and experiences with Yves Saint Laurent, Kenzo, and the House of Dior to create exciting new sculptural forms using found objects and mixed media. Crawley is a self-taught sculptor and storyteller, born in Danville, Virginia is now a resident of Washington, DC. A retired public school educator, Crawley uses her skills to convey visual stories. She is a sculptor in the tradition of Elizabeth Catlett, focusing on the black female maternal figure and heroine, creating a body of work and narrating the African-American story at IBe’ Arts and Education in Historic Anacostia. Whether she is telling stories at the Frederick Douglass House or carving marble sculptures in her studio, she understands that it is the story of healing, wholeness, and resolution that she is sharing with her audiences. This entry was posted in Press Releases on June 26, 2018 by Kadija Bangura. This entry was posted in Media Kit on April 26, 2018 by Kadija Bangura. (Washington, DC) As a home for arts, culture, and creative expression, the Anacostia Arts Center in partnership with East River Jazz, hosts a monthly series of afternoon jazz through September. Guests can enjoy brunch at the Arts Center Café, before listening to cutting edge jazz presented by regional jazz musicians. East River Jazz Brunch will take place on the second Sunday of each month, beginning January 14, through September 9, 2018 at 3pm. The event is free and open to the public. Brunch can be purchased at the Arts Center Café from 11am – 3pm. 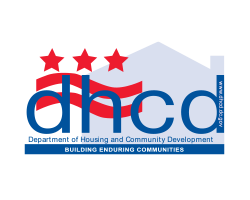 Anacostia Arts Center is located at 1231 Good Hope Road SE Washington DC 20020. The first performance of this series, will present the East River Collective, an eclectic ensemble of Baltimore-based jazz artists featuring: Craig Alston (saxophone), Theljon Allen (trumpet/flugelhorn), Todd Simon (piano), Blake Meister (bass) and Dana Hawkins (drums). A creative mix of regional jazz artists, that are sure to entertain the residents of Anacostia and community at large. Vernard R. Gray, East River Jazz curator/director is a native Washingtonian whose career, from the mid-60s to present day has included documentary photography and videography, art gallery curating and management, wearable art designing, oral history recording, and jazz culture curation. Gray’s Miya Gallery project founded 1976, in downtown DC, led the Black Arts movement of the 1970s through 2000s. He has presented more than 300 jazz performances in the Washington-Baltimore region since 2008. Craig Alston is a multi-instrumentalist from Baltimore who is best known as the saxophonist for ‘Fertile Ground’. He has traveled across Europe and Asia, sharing a unique blend of jazz, soul and world music. This broad exposure has allowed him to learn and grow from the various musicians and styles encountered. Alston also performs as an independent artist, playing the saxophone, bass or keyboard. He has played with jazz legends such as Larry Willis, David Murray, Oliver Lake, John Hicks and Jimmy Heath. Alston is the director and instrumental music teacher for the Maryland Summer Center; his program focuses on teaching gifted students the fundamentals of jazz. Although Craig is a jazz musician at heart, he also plays rhythm and blues, soul, hip-hop and gospel. Theljon Allen was inspired by the legendary Jazz musician, Clifford Brown, to become a trumpet player. He heard Brown perform Joy Spring on the radio and thought it was the “slickest ever”. Allen began playing music around the age of 4-years old, experimenting with the violin. Listening to Jazz expanded his view of music and different possible genres. He’s stated that the trumpet can be a challenging instrument to play and requires daily practice. Allen’s dedication and mental approach, have crafted his skill to its current professional level. Allen’s musical life has been most impacted by saxophonist/ flutist and composer, Gary Thomas. He draws inspiration from Doobie Powell and considers Keyon Harrold as his current favorite trumpet player. Todd Simon is a highly sought-after musician, composer and arranger in the Washington, DC and Baltimore area who also served 4½ years for the United States Naval Academy Band. He studied piano and organ with Tim Murphy and saxophone with Gary Thomas at the Peabody Conservatory of Music. Upon graduation in 2007, Todd rose quickly through the ranks of the Baltimore/DC jazz scene. While enlisted, he performed for former Vice President Joe Biden, Secretary of State Hillary Clinton, Secretary of Defense Robert Gates, and astronaut Neil Armstrong. Todd’s 2013 debut CD of all original compositions, Simon Says earned him a 2014 Herb Alpert Young Jazz Composer Award and a 2015 Maryland State Arts Council Individual Artist Award. Blake Meister. Born and raised in Philadelphia, Meister began playing electric bass, later honing his skills on the double bass and piano in college. A member of the first full class to matriculate to Peabody’s jazz studies department, he attracted attention as a student, receiving both the Alice and Leary Taylor and Richard Franko Goldman Awards in performance; as well as multiple development grants. He went on to earn a Master’s Degree in orchestral studies at Catholic University’s Benjamin T. Rome School of Music. Before joining the Peabody Conservatory faculty, Meister began as a faculty coordinator in the preparatory division, helping to create a more comprehensive jazz studies program. As a recipient of many awards and grants, his debut album, Septagon was named album of the year by CapitalBop and Washington City Paper. Meister is quickly garnering recognition among musicians and critics alike. Percussionist Dana Hawkins is a graduate of Berkeley College of Music and a DC resident. During a Master Class session led by Grammy-nominated artist, Meshell Ndegeocello, Hawkins was among a select few students, who were given the unique opportunity to play songs from Ndegeocello’s Cookie album. Her guidance has followed him throughout his career. After Berkeley, Hawkins came upon a fortuitous opportunity in New York City to work with the solo bass/electronic compositions of Evan Marien. The pair worked with Grammy Award winners and nominees including: Jack DeJohnette, Stanley Clarke, Meshell Ndegeocello, Esperanza Spalding; they have also been featured in Modern Drummer (US) and in Bass Player Magazine (US, UK, Japan). In 2013, they released an album titled Collections featuring live recordings. With their music being compared to the melodies of Squarepusher, the textures of Weather Report, and the tranquility of Nobuo Uematsu (Final Fantasy series composer), this progressive collaboration of bold bass artistry, dynamic electronic production, and prodigious drumming, has paved a new path in electro jazz. Anacostia Arts Center is a project of the ARCH Development Corporation, a not-for-profit organization dedicated to creating a home for small businesses, artists, arts and cultural organizations to fulfill its commitment to the revitalization and sustainable economic development of Historic Anacostia. The 9,300-square ft. arts center opened in June of 2013 and includes a café, a black box theatre, two boutiques, a physical therapy studio, an artist exchange and book store. This entry was posted in Press Releases on February 11, 2018 by Kadija Bangura.